Just the cutest quilt! When I get shadowing while needle turning, I use a piece of bleached muslin behind the piece. 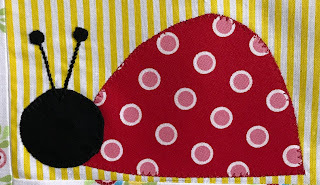 I don't know how you'd do that doing machine applique or fused applique, but I wouldn't have noticed that if you hadn't pointed it out. 159 pieces ... so different than your usual amount! Love it! Such a fun project to get back into the sewing swing of and a really cute baby quilt some someone....who wouldn't love Lady Bugs??? 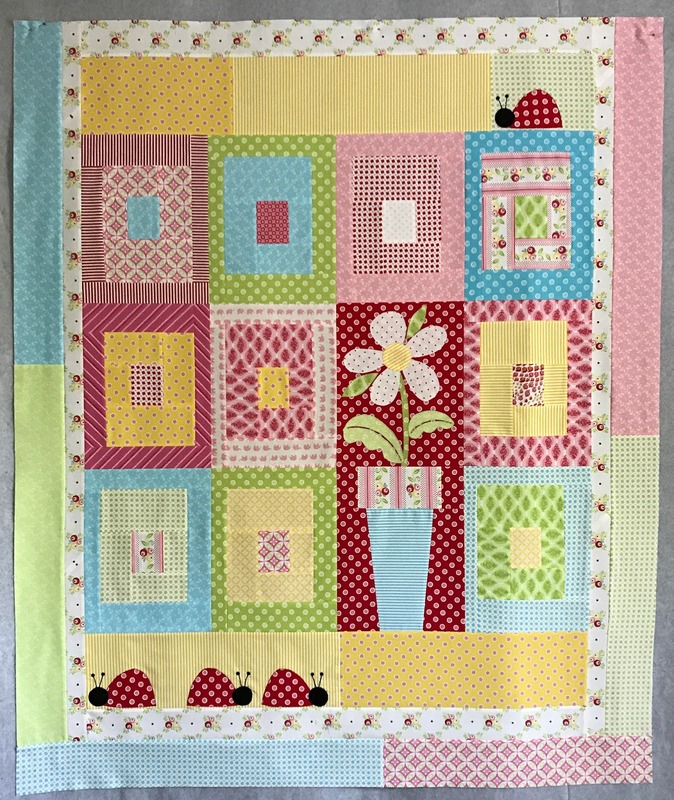 Cute baby quilt! I never buy kits because I lways fear that there's not enough fabric and you can easily make a mistake or want to cut a directional print all going the same way.